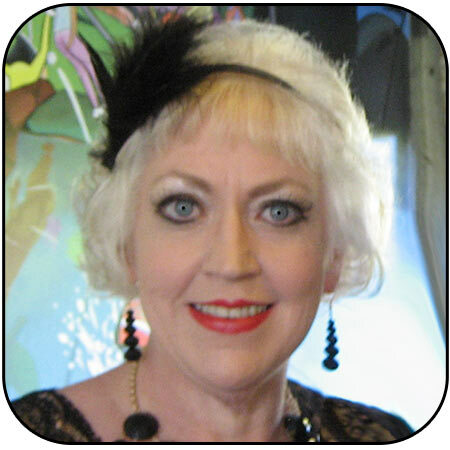 Clairvoyant medium and psychic in Brisbane. Private clairvoyant readings in Brisbane. I am Jeanette, and I would like to introduce myself. I am a full-time professional spiritualist based in Fitzgibbon, a northern suburb of Brisbane. My abilities include clairvoyancy, mediumship, tarot card reading, numerology, Chinese astrology, and palmistry. I am also a Feng Shui Consultant. As a psychic, I communicate with those who have crossed over into the spiritual realm. My insight allows me to feel, see, sense and hear Spirit Guides and Angels. Are you seeking guidance from another who may be able to see more clearly than you? Do you need help to lift the burden which weighs you down today? Would you like to face tomorrow with confidence? Do you need help to overcome the confusion that facing the future causes? As a full-time professional Clairvoyant and Psychic Medium, I am here in Brisbane to answer your questions and to give you advice on how best to prepare a better future for yourself and your loved ones. Here is a list of subjects for which you can obtain a reading. Through a clairvoyant reading, I will give you help in finding solutions to your questions, offering you guidance on the way to a happier future. I can also give you guidance on how you can best change your life to create the life that you have always wanted; this includes ways to help you overcome your obstacles at this time and how not to create more of them in the future. As a psychic medium, I can also give you messages from Loved Ones who have crossed over. The way I get my information is like watching a movie or still pictures. These are symbolic and I will relay to you what I see, and tell you the meaning as I understand it. Sometimes I do not understand it or can misinterpret this information, so that is why I explain to you what I see, as you will understand it sometimes more than I would. All messages are for you, so you will understand what they mean even if I don't. I have clairaudience ability, whereby I hear your Spirit Guides, Angels and your Loved Ones who have passed over, and I will relay this as I hear it. Sometimes a Spirit will not reveal all information until the time is right and so there are some answers you may not be given at this time due to a spirit wanting you to make some of your own choices in life. Your Spirit Guides, Angels and Loved Ones do not give any judgment on you or anyone else as the Spirit world is non-judgmental. I use Tarot cards if you request them. In life we all have choices to make; that is one of the ways we grow Spiritually. There are certain things in life a Spirit will not help with as much as we would like, because it is part of what you chose to learn in this lifetime (even though we do not remember this). Nevertheless, they are willing to make everything so much easier for all of us because they love us dearly and want only the best for us. Everything they want is for our highest good. Do remember everything you do is your own choice. I can guide you on your path in life leading to your highest good. I have helped many people from all over the world with my clairvoyant readings and keen psychic abilities. I live and work in Brisbane, but every month or so I travel to Mackay in North Queensland for a weekend of readings.